Are you looking for fun activities for your kids this summer? Summer is the perfect time to try something new or dive deeper into dance! Bloom Dance Studio in Omaha, Nebraska provides a nurturing and structured environment that encourages individuality, creative expression and an appreciation for dance! At Bloom, we do more than teach dance...we build our students up in confidence, creativity and courage! Excellent instruction is offered to experienced students who are hoping to increase their skills over the summer, as well as to those who are brand new to dance, and interested in simply experiencing the joy and benefits of dance classes. BONUS: No dance experience is needed to join our summer classes and/or camps. Login or Create your account, pay and come to your Bloom summer dance class! NOTE: Fall class schedule (2019-2020) and prices will be posted on June 15th. We have three options for Summer 2019! 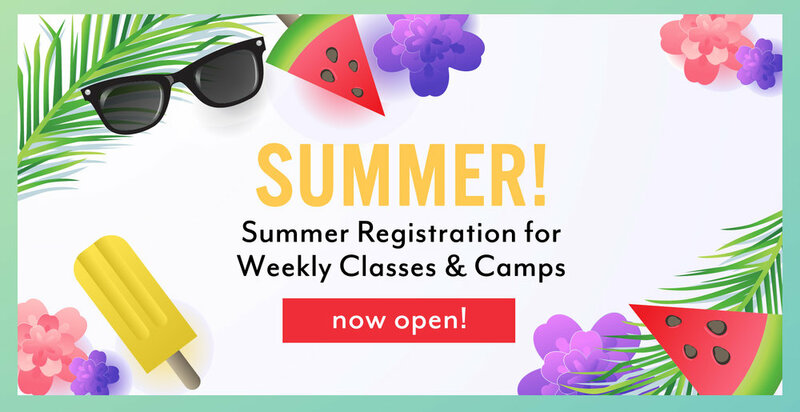 Week long dance camps at Bloom are perfect for those who want to give their child a fun-filled week of dance with friends, while also getting a taste of a numerous dance styles all squeezed into one week! We have options for all ages, no dance experience is necessary. First camp begins June 3rd! Cost: $149 each - Click here to register! Bloom offers a 6-week session with many classes to choose from starting the week of June 10th! This is a great opportunity to challenge your dance skills or try something new such as ballet, jazz, hip-hop, tap, acro, etc. If you are new to Bloom our weekly classes are a perfect introduction before joining classes this fall! Note: There are no classes the week of July 4th (July 1st - July 5th). This will be an energetic morning of fun and learning the latest moves in breakdancing with Jesse. Whether you are new to breakdancing or come to the day camp with experience, Jesse will challenge boys during this exciting morning of learning and fun! We will also take some time to play games and make some cool art with Jesse! Limited space for this camp - register soon! We offer 1-hour private lessons during the summer as an option to further increase your dance skills and technique! Please contact Hannah (hannah@danceatbloom.com) to discuss what would be best for your dancer(s) and which instructor would be best and available for the lesson(s). Want to take more than three 6 week classes this summer? Sign up for our "Summer Pass" - a one-time $349 cost per dancer that lets you enjoy unlimited 6 Week Classes over the 6-week session. No multi-student or multi-class discounts for the summer. At least four (4) students need to be registered in each class in order to offer the class. There is NO recital for the summer classes/camps.